So I came across this photoshoot in a magazine the other day and simply loved the deep reds, rings and jackets. The one thing I love about the changing seasons is it will soon be time for Mac's and coats (although I would prefer for it to be summer all year round). For some reason this photoshoot reminds me of Paris, I am not sure why. 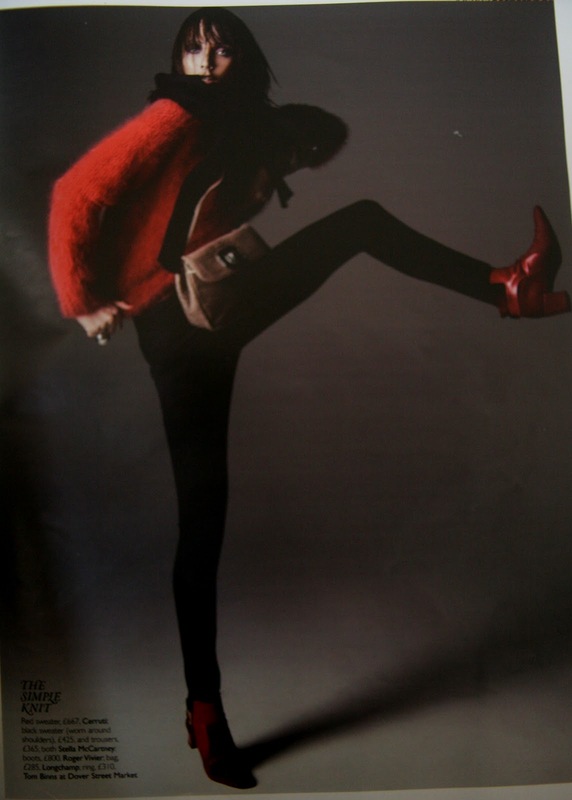 I really want this Cerruti sweater and Stella McCartney shoes!! The last two photos remind me of some rock star or something. Maybe Chrissie Hynde alla early 80s? Veyy 80s but fantastic pictures! Oh man, I love that fuzzy coat. Good stuff! I continue to enjoy reading these posts.